And now with the last day of February, what was that month like? As before, we had a daily blog post. In this month I’m particularly proud of The Power of Hate, The Art Of Your Normal, and Monsters. 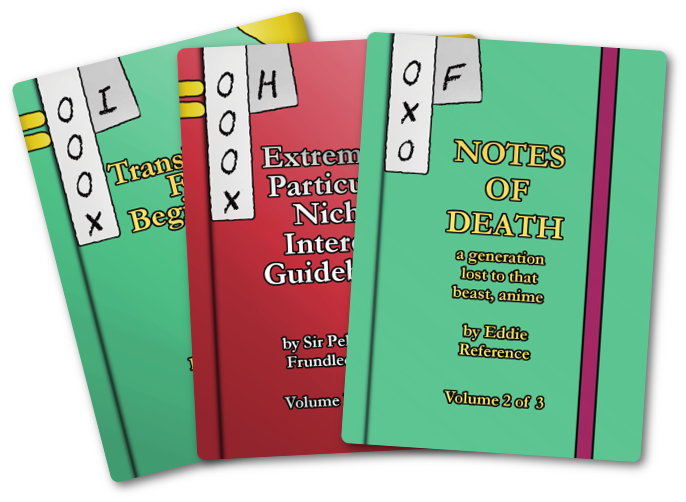 Our three regular segments – Weekly MTG, Game Pile and Story Pile – posts? Check! T-Shirt design? 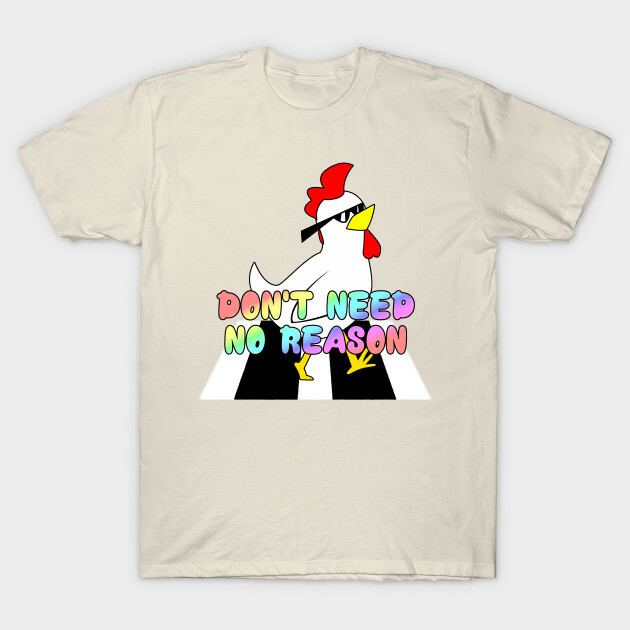 Check, here’s DON’T NEED NO REASON, on Redbubble and Teepublic. Game launched? Winston’s Archive, here at Invincible Ink and DriveThruCards! It’s a two-plus player drafting game where you’re both sorting books, full of silly joke book titles! I really like Winston’s Archive because rather than use the drafting as part of some greater, more complicated play of the game, the game is the drafting. It’s also a useful system to understand, and taught me a lot about distribution in games and catch-up mechanisms. You should check it out! Video? Episode 7 of Making Fun went up! Episode 8 will be coming, hopefully, and we’ll talk about some mechanics. I launched my Patreon! This is a way you, the people who enjoy this work, can kick me a dollar or two a month in exchange for more content. This is a way you can request Micropodcasts, and partake in bundle sales, which I’m still getting a handle on. In this month I also started some casual work for the uni (after some paperwork snafus, which led to more paperwork snafus), shifted my PhD to part-time, started to work on teaching game making at the uni, and spent more time with my family.